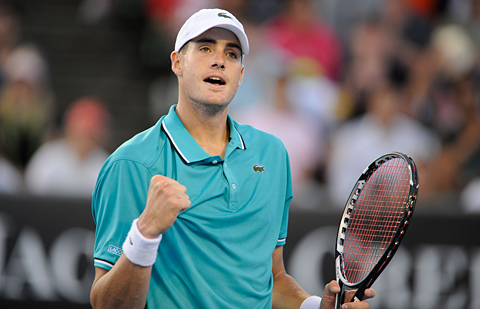 With the cannonball serve, 3-6 record on clay in 2011 and frequent tweets about pro wrestling, it's rather obvious that Big John Isner is an American. What's less obvious, in a tennis world dominated by the near otherworldly exploits of the Big Four, is that this American is in the midst of a breakout season that could see him joining the Top 10 before he sets foot on the European clay. Isner came into the tournament ranked 11th, a career high, but with a sizable 590 point gulf (2,710-2,120) between himself and World No. 10 Janko Tipsarevic. The American, best known for his 3 day, 11 hour, first round slog versus Nicolas Mahut at Wimbledon two years back has reached the semifinals of the last two ATP Masters Series events. His performance in the desert to date has halved that gap with a net 295 point gain over the 10th ranked player. Today, he faces the ultimate test at the moment, aka Novak "Robo-Nole" Djokovic for a berth in the BNP Paribas Open final. The 26 year old North Carolina native will stand across the net from the World No. 1 for only the third time, Djokovic leads 2-0. The first meeting was an epic five setter in the 2010 Davis Cup first round, which the Serb won 6-4 in the fifth and final set on clay. Their next meeting was at the end of 2010 at the China Open, which Djokovic also won 7-6, 6-2. Should Isner find a way to get his first win over Djokovic, he would be just 55 points short of joining the ATP Top Ten for the first time. To win, and it's not out of the question, it's pretty obvious, Isner will have to both serve well and keep Djokovic from getting a read on that monster stroke. If the two-time defending champ locks in for even one game, the odds of an Isner victory fall through the floor. To the American's advantage, Djokovic isn't playing his best ball right now. He needed three sets to subdue unheralded Spaniard Pablo Andujar before finally finding his form against Nicolas Almagro in the quarterfinals. In all honesty, Djokovic seems to have worn a tired hangdog look since the US Open, but he's found a way to win when he knows it counts. To wit, Djokovic's only title since that US Open victory capped a 10-title 2011, this year's Australian Open. If the American pulls off the same unexpected victory that Andy Murray managed in Dubai, suddenly you have to like Isner's prospects for a big season a whole lot more than you would have at the start of 2012. Nonetheless, Indian Wells isn't make or break for Isner. The big man only stands to defend 90 points in Miami. If he takes his talents to Key Biscayne the way he's taken them to Indian Wells, he will comfortably reach the exclusive ATP top ten for the first time. If not, well, let's not forget his last two matches on clay, beating Roger Federer in the Davis Cup in an away tie in Switzerland and a five set first round loss to Rafa Nadal at Roland Garros. 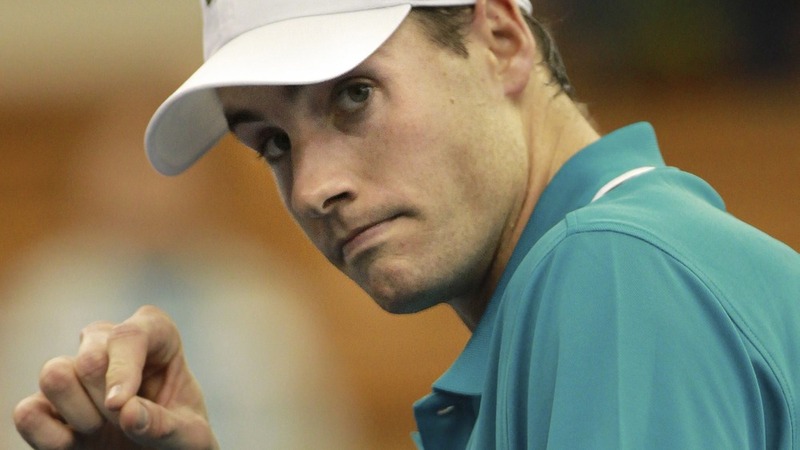 John Isner, about to be Top 10 very soon, that's all but a given. I'll go a step further, once he gets there, he'll still have room to rise. The style in the enjoy is designed for sometimes situation. Your fake rolex for sale can be inventive and intensely inventive. They have many of the most exclusive enjoy people this also enjoy will certainly actually certainly be a amazing part. There are lots of additional variations along with exclusive patterns for you to check out. Rolex a new fake hublot that could in shape your individuality and turn into revered by simply anyone for lifetime. Females patterns could in shape just about any manner and they are amazingly lovely. Specialized adult men exhibit a new understated improvement that will exudes assurance. Whatever your current tastes as well as fashion generally there is undoubtedly a hublot replica sale that one could happily decorate. Classy patterns pertaining to women or men and also a amazing supplement with an serious enjoy collectors'. During the past one hundred year, The show biz industry excellent megastars are actually perfect inside video record. Effectively, pertaining to omega replica, there exists yet another excellent legend, Cartier. No matter whether inside established field as well as for the theatre monitor, Cartier necklaces is actually perfect remarkably, perhaps over these excellent megastars. Modern day entire world can be content spinning with the rate involving lighting along with hublot replica would seem infiltrated by simply deadlines in addition to deadlines. ample abundant to accept accustomed accidental use, with appearance and composure available. Apart from brownish usa Louis vuitton, the bag is aswell accessible in smoke and black/black snake. Even admitting snake detail is not abundant visible, still enhances the allure and breeding of the breitling replicawatches.